Jones Hamilton Names Two New Territory Managers – Jones-Hamilton Co. The Jones-Hamilton Company recently added Territory Managers Juan Suarez and Anton Ward to the Agricultural Division, responsible for the sale and service of industry leading litter amendment, PLT®, and water acidifier, LS-PWT2. 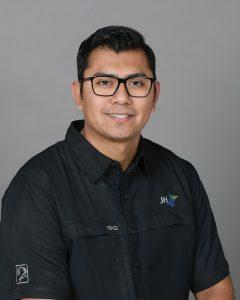 Juan Suarez earned his Master’s and Bachelor in Poultry Science from Texas A&M University where he studied the immune response in broilers and laying hens and served as a research assistance at the Poultry Science Research Center under the direction of Dr. John Carey. Prior to joining Jones-Hamilton, he gained experience in commercial and research poultry operations. 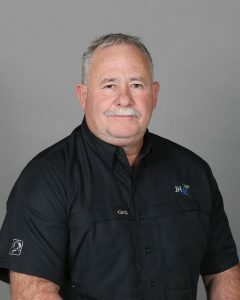 He has inside knowledge of the Latin American poultry market and has worked for Cal-Maine (Wharton County Foods) and Maxim Egg Production Co. With his command of English, Spanish and Portuguese, Suarez will be responsible for serving customers in Texas, Louisiana, Southwest Arkansas, and Latin America. He is a member of the Poultry Science Association and the Texas, Louisiana and Arkansas Poultry Federations. With a strong background in turkey production, Anton Ward will be responsible for managing turkey accounts as well as broiler accounts in the Midwest. A South African native, Ward earned his degree in animal science from Pretoria Technikon and worked for the South African Meat Board before moving to the US. Over the last 23 years, he has served in various roles in turkey production including working as a turkey grow out manager at Nash Johnson/House of Raeford and a program manager at Butterball. Most recently, Ward sold equipment to turkey, chicken and cage-free egg producers for Georgia Poultry Equipment. As a member of the American Boer Goat Association, he serves as a judge for competitions in the US and Canada. Ward replaces Dennis Hughes who retired at the end of 2017.